Technical University of Denmark is pleased to invite applicants to apply for a new opening PhD position in signal processing. The funds for this fellowship are available for 3 years. The deadline to apply is January 15, 2019. As communication capacity of the standard single mode fibre is approaching its fundamental physical limit, employing space (i.e. orthogonal spatial modes or multiples cores of optical fibres) as a new multiplexing dimension, so called space division multiplexing (SDM), has proven to be an effective way to further push the communication capacity in order to accommodate the ever-increasing capacity demands in the future. This PhD project will aim at exploring the most advanced spacedivision multiplexing (SDM) technologies to achieve capacities beyond 10 Pbit/s per fiber and 1 Pbit/s per laser based on integrated optical transmitters, mode multiplexers/ demultiplexers (MUXs/DEMUXs) and receivers in order to substantially decrease power consumption per bit and space per bit. Within the PhD project, the PhD student will explore orbital angular momentum (OAM) modes and higher order modes (HOMs) and will study how electrical/optical signal processing can enhance their system performance in record-breaking experiments. The PhD project will have strong synergies to other activities within the SPOC centre, for example those on multi-core fibres, Sibased OAM MUXs/DEMUXs and ultrafast optical signal processing schemes, e.g. ultra-wideband phase conjugation and time lenses. It is expected that the PhD student will benefit from collaboration with these activities to enhance the outcome of the PhD project. Candidates should have a master’s degree in engineering/physics or a similar degree with an academic level equivalent to a master’s degree in engineering/physics. Good communication skills in written and spoken English are required. 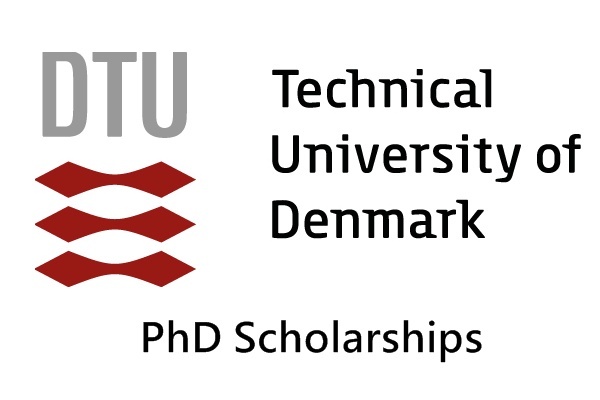 The scholarship for the PhD degree is subject to academic approval, and the candidate will be enrolled in one of the general degree programmes at DTU. For information about our enrolment requirements and the general planning of the PhD study programme, please see the The assessment of the applicants will be made by the SPOC centre leader Professor Leif Katsuo Oxenlwe and Professor Toshio Morioka. DTU Fotonik works with all areas of photonic engineering, including a strong focus on optical communications. We are hereby announcing a PhD position within the topic of advanced space-division multiplexing technology in optical communications. This project is part of the centre of excellence Silicon Photonics for Optical Communications (SPOC) funded by the Danish National Research Foundation. The SPOC centre has been established to aim at significantly advancing the state-of-the-art in ultra-high capacity optical communications and this PhD project will be at the heart of this activity. The project will start within the winter semester, 2019.As communication capacity of the standard single mode fibre is approaching its fundamental physical limit, employing space (i.e. orthogonal spatial modes or multiples cores of optical fibres) as a new multiplexing dimension, so called space division multiplexing (SDM), has proven to be an effective way to further push the communication capacity in order to accommodate the ever-increasing capacity demands in the future. This PhD project will aim at exploring the most advanced spacedivision multiplexing (SDM) technologies to achieve capacities beyond 10 Pbit/s per fiber and 1 Pbit/s per laser based on integrated optical transmitters, mode multiplexers/ demultiplexers (MUXs/DEMUXs) and receivers in order to substantially decrease power consumption per bit and space per bit. Within the PhD project, the PhD student will explore orbital angular momentum (OAM) modes and higher order modes (HOMs) and will study how electrical/optical signal processing can enhance their system performance in record-breaking experiments.The PhD project will have strong synergies to other activities within the SPOC centre, for example those on multi-core fibres, Sibased OAM MUXs/DEMUXs and ultrafast optical signal processing schemes, e.g. ultra-wideband phase conjugation and time lenses. It is expected that the PhD student will benefit from collaboration with these activities to enhance the outcome of the PhD project.Candidates should have a master’s degree in engineering/physics or a similar degree with an academic level equivalent to a master’s degree in engineering/physics. Good communication skills in written and spoken English are required.The scholarship for the PhD degree is subject to academic approval, and the candidate will be enrolled in one of the general degree programmes at DTU. For information about our enrolment requirements and the general planning of the PhD study programme, please see the DTU PhD Guide The assessment of the applicants will be made by the SPOC centre leader Professor Leif Katsuo Oxenlwe and Professor Toshio Morioka. DTU is a leading technical university globally recognized for the excellence of its research, education, innovation and scientific advice. We offer a rewarding and challenging job in an international environment. We strive for academic excellence in an environment characterized by collegial respect and academic freedom tempered by responsibility. The appointment will be based on the collective agreement with the Danish Confederation of Professional Associations. The allowance will be agreed upon with the relevant union. The period of employment is 3 years. You can read more about career paths at DTU here. Further information may be obtained from the SPOC centre leader, Prof. Leif Katsuo Oxenlwe, You can read more about DTU Fotonik o Please submit your online application no later than15 January 2019 (local time). To apply, please open the link “Apply online”, fill out the online application form. The following must be attached in English: Excel sheet with translation of grades to the Danish grading system (see guidelines and ) Candidates may apply prior to obtaining their master’s degree but cannot begin before having received it.